“Leap and the Loom Will Appear” is an upcoming exhibition by 82-year-old, world-renowned Canadian Fibre Artist Sola Fiedler, known for her intricately woven tributes to cities that have hosted Olympic Games. 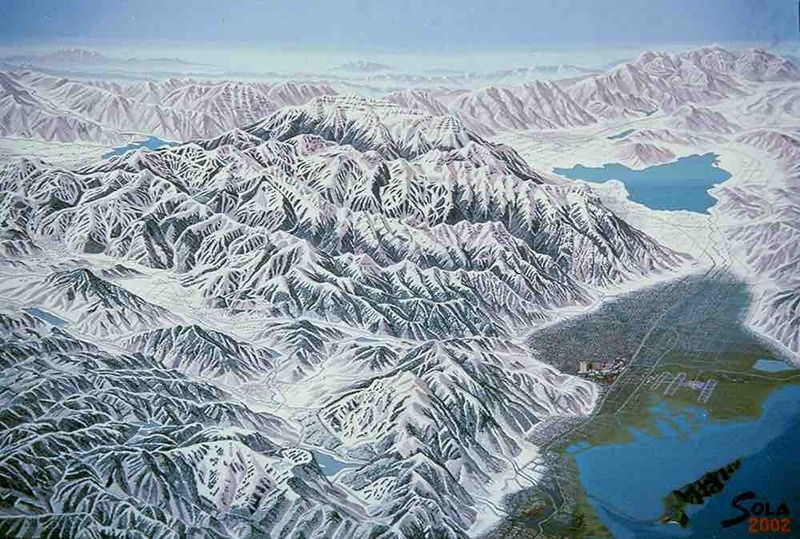 Each hyper-realistic tapestry took the artist as much as five years to complete. Self-taught, Sola’s method is as impressive as the final piece: Using yarn from recycled sweaters, she meticulously weaves large-scale cityscapes in pinpoint detail, from the number of floors in a building to the colour of the trees and water. Her work captures the architectural elements and spirit of each city at that moment in time. 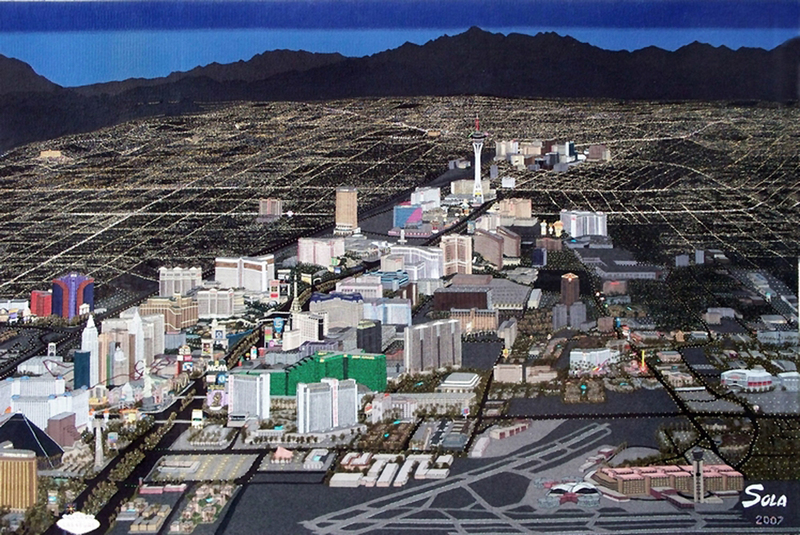 For the first time, Sola’s massive Las Vegas (11’ x 7.5’, 2009) and Salt Lake City tapestries (10’ x 7’, 2002) will be exhibited side by side. The Vancouver tapestry (11.6’ x 5.3’, 2014), graciously loaned by the Canuck Place Children’s Hospice; the iconic Canada 150 flag (8’ x 4’, 2018), and a new Granville Island Tapestry (8’ x 4’, 2018) will also be presented with a retrospective of Sola’s vintage works, totalling 17 pieces. 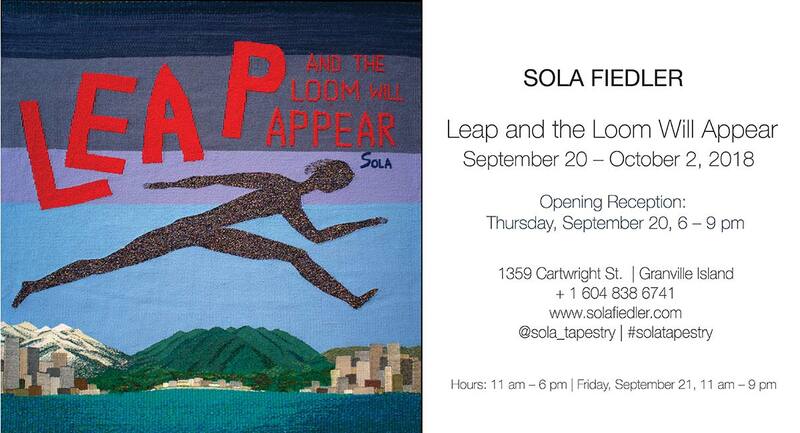 Sola Fiedler, simply known as Sola, is a senior Canadian fiber artist, best known for her large-scale tapestry tributes to the cities that have hosted the Olympic Games. Her work captures the architectural and spiritual elements of each city, at that moment in time. Since winning a prize in 1973 for Best Fiber Art in Vancouver, B.C., Sola’s work is collected by a wide range of renowned institutions and individuals such as the Key West Museum, the ResMed Corporation of San Diego, Canuck Place, the Sarah Mclachlan School of Music, and Jim Pattison. Born in 1936, Sola grew up in London during and after World War II, when reuse and recycling played a fundamental role in daily life. Her tapestries transform the idea of thrift and make it glamorous. Using yarn procured from thrift stores and estate sales, Sola creates inviting, colourful landscapes full of rich detail and a warmth that comes from its materials. Her work has widespread appeal and is more relevant than ever today when young artisans worldwide are claiming craft traditions like weaving as their own. Sola Fiedler currently lives in Vancouver, B.C. For more information, visit www.solafiedler.com. The Textile Society of America (TSA) is a United States 501(c)3 non-profit that provides an international forum for the exchange and dissemination of textile knowledge from artistic, cultural, economic, historic, political, social, and technical perspectives. Established in 1987, TSA is governed by a Board of Directors made up of scholars and professionals, including museum staff and university faculty located in North America. Their 800 members worldwide include curators and conservators, scholars and educators, artists, designers, makers, collectors, and others interested in textiles. The 2018 Textile Society of America Symposium will take place in Vancouver, B.C., Canada, at the Sheraton Wall Centre from September 19 to 23, 2018. For more information, visit www.textilesocietyofamerica.org. CEO, Conscious Public Relations Inc.